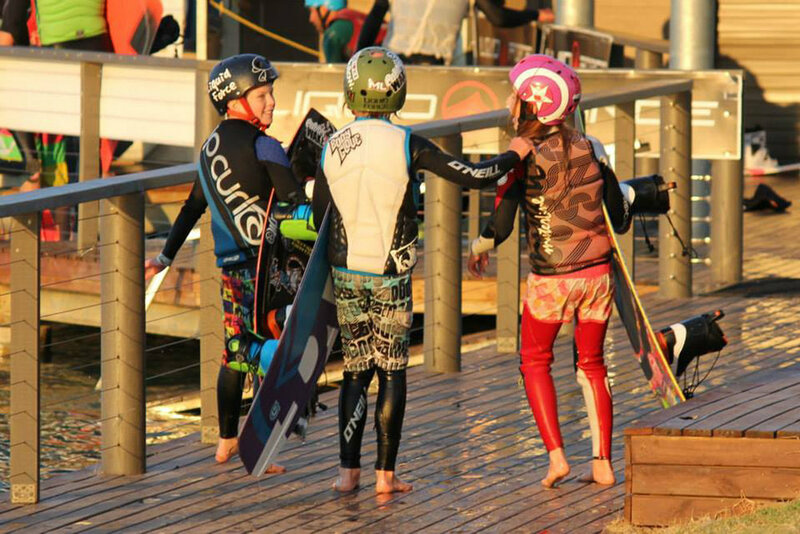 Designed to introduce the younger kids to the sport of cable Wakeboarding, Kneeboarding & waterskiing. Kids Club operates EVERY Saturday morning from 8.30am – 10:00 am. It is available for kids from 6 years up to 14 years. The cable is run at a slower speed than normal and kids begin on kneeboards but quickly advance through the learning phases. Kids Club costs $35 per session and bookings are not required. Parents are welcome to attend and are actively encouraged to become involved in the learning and community atmosphere that Kids Club creates.